A collective sigh of relief was felt this past week by many of those in the animal agriculture industry. 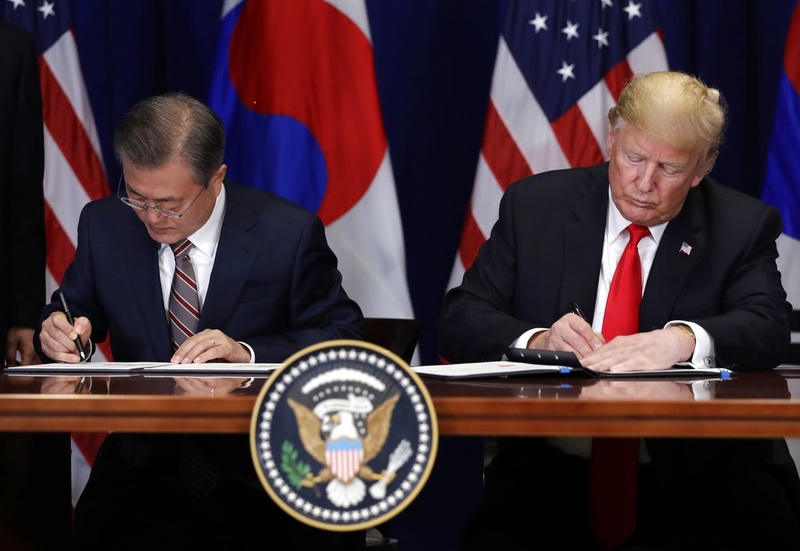 That relief prompted by the announcement made by the Trump Administration that a new Korea trade deal had been struck and signed by both President Trump and South Korea President Moon Jae-in during a trip to New York for a visit to the United Nations. The aspect most appealing about this new agreement to the ag industry being that not much was changed as it relates to agricultural products. According to Bacus, Korea has over the years become the second largest export market for the US and the US, under this agreement, has grown into the No. 1 source of beef for Korean consumers. In addition, this deal has essentially pushed our Australian competitors out of the market. Bacus says the US has witnessed an elimination of a 40 percent tariff under this deal, which has in effect give the US an 8 percent advantage over Australia. However, the relationship we have now wasn’t always as good says Bacus. Listen to Bacus and Radio Oklahoma Ag Network Farm Director Ron Hays speak more about this new agreement as well as news of Japan’s recent commitment to begin crafting a bilateral deal with the US, on today’s Beef Buzz. Hear Bacus and Ron Hays speak more about this new agreement and more on today's Beef Buzz.